Monday, April 1, 5:00-7:00 pm in the Great Room of the National Transit Building, 206 Seneca Street. 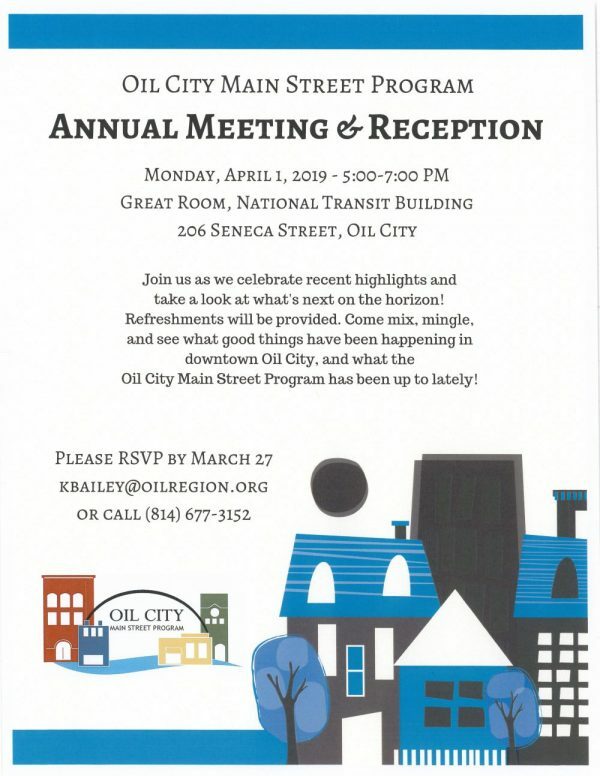 Enjoy light refreshments, mingle with Main Street volunteers and downtown businesses, and see what the Oil City Main Street Program has been up to recently! This annual event is casual & informal – come as you are! 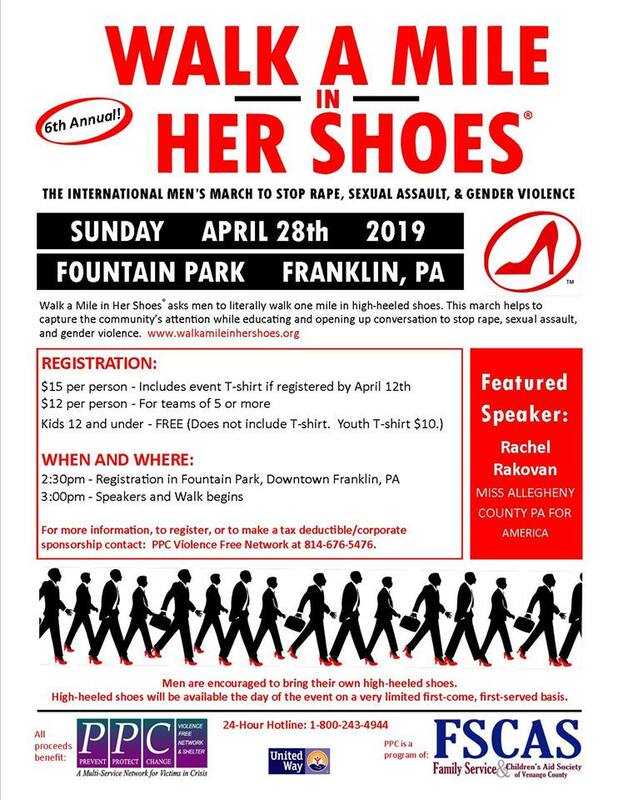 RSVP to the Main Street Office via email to kbailey@oilregion.org, or call (814) 677-3152.